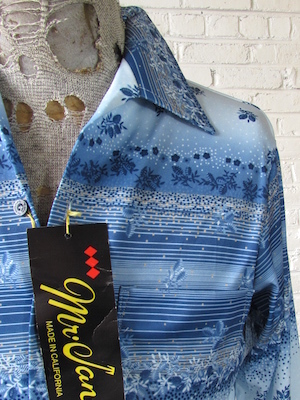 Home > 1970s Disco Clothing > All Disco Clothes > (S) Vintage Mens 70s Disco Shirt! Shades of Blue, White & Tan. Flowers Stripes & Dot Magic!